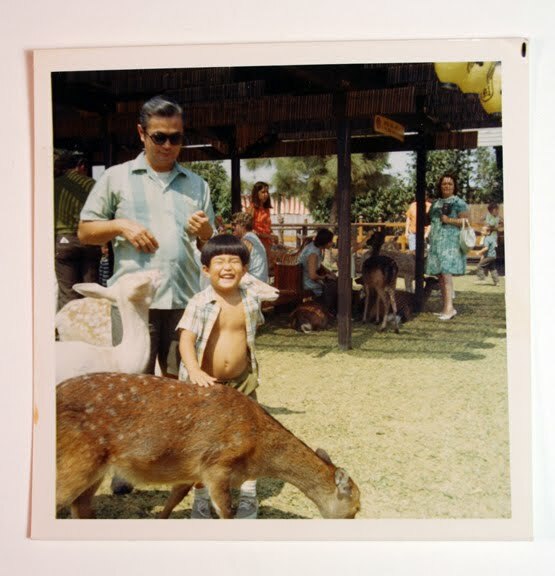 I have very vague memories of Japanese Village and Deer Park while growing up in Southern California. 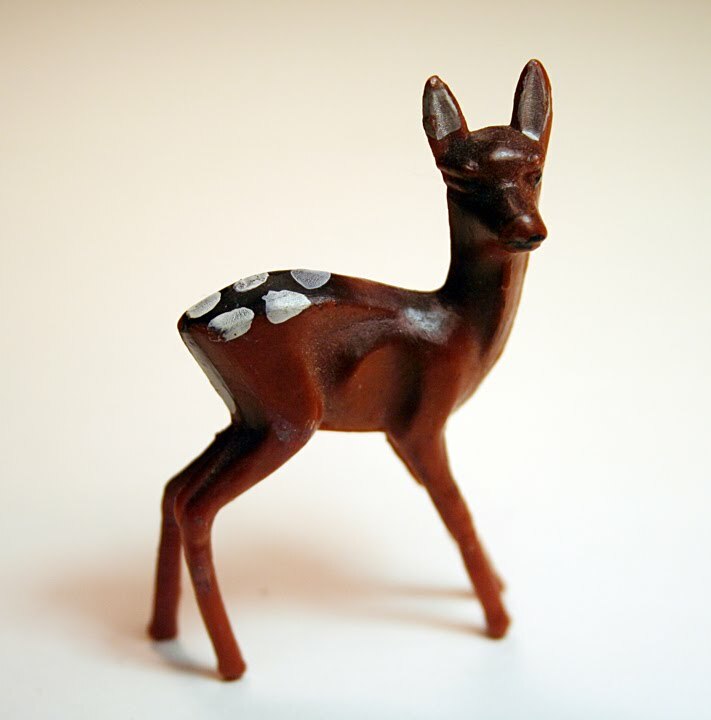 My family lived in various locations in Southern California.. before moving up to San Francisco in 1974.
the figure is about 2 inches tall by 1.25 inches long, and made of a semi hard plastic. I found this Wiki on the park for more info..so sorry to hear about the deers, though..sniff … as well as some amazing photos on this blog here …and here …. really nice blog with great pics of early Disneyland and such.